Shake Shack opened its first permanent location, a small stand in Madison Square Park, in July 2004. Now, just over a decade later, recent speculation is that a forthcoming Shake Shack IPO could be valued as high as $1 billion. Granted, founder Danny Meyer isn’t your average burger flipper. As the leader of his highly respected Union Square Hospitality Group, Meyer has won 25 James Beard Foundation Awards and been repeatedly named one of the best restaurateurs in the world. Still, New Yorkers who fondly remember Shake Shack as that little place in the park where you have to wait in long lines to get a burger might be astonished by just how quickly the Shack has grown into the juggernaut it is today. 2001 – The hot dog cart that would eventually morph into Shake Shack starts operations in Madison Square Park. 2004 – The first Shake Shack opens in Madison Square Park on June 12. 2008 – The second Shake Shack location opens on the Upper West Side in October. 2010 – The first Shake Shack outside New York opens in South Beach, Florida. 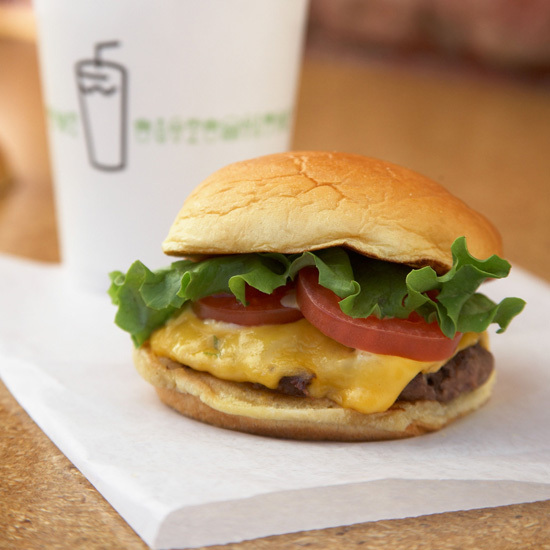 Shake Shack ends the year with seven locations. 2011 – Brooklyn gets its first Shake Shack. So do Connecticut, Washington, DC; Kuwait and the United Arab Emirates (the first two international locations). Shake Shack ends the year with 14 locations (12 in the US). 2015 – Shake Shack plans to expand to new locations including Atlanta, Chicago, Las Vegas and Austin. 7 – Number of US states that now have a Shake Shack location. They are New York, Pennsylvania, Florida, New Jersey, Connecticut, Massachusetts and Virginia. Oh, and they’re in Washington, DC, too. 9 – Number of countries that have Shake Shack locations. They are the United States, United Arab Emirates, Lebanon, Qatar, Kuwait, Saudi Arabia, United Kingdom, Turkey and Russia. 50 – Total Shake Shack locations worldwide. $4.75 – Cost of a Single ShackBurger at the original location in Madison Square Park. $5.27 – Approximate cost of a ShackBurger in Moscow (based on the current conversion rate). $5.75 – Cost of a ShackBurger at JFK airport. $6.81 – Approximate cost of a ShackBurger at the Dubai Mall. $7 – Cost of a ShackBurger at a Mets game. $8 – Approximate cost of a ShackBurger in London. $4 million – Average revenue for Manhattan locations in 2009, according to CNBC. $20 million – Projected company earnings this year, according to anonymous sources cited by Bloomberg.com. $1 billion – Possible value of Shake Shack IPO. Thick and Meaty or Thin and Crispy: What Is the Best Type of Burger?